A strange gift has made its way to this colorful sector of space. Let's bust it open and see what's up! Defend the Fuzzy Planet Friend(tm) from incoming danger. Various geometric baddies will home in on the planet's position in an attempt to crash down and deal damage. Use your attacks to hold them off and try to survive for as long as you can! Hold Left Mouse to charge up a precision ramming strike; powerful enough to instantly fell most foes. 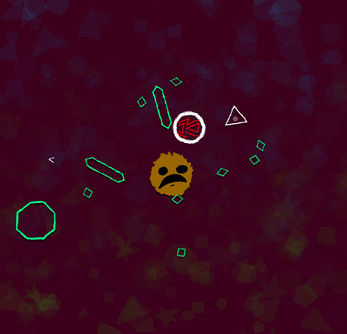 Hold Right Mouse to fire a shotgun blast of projectiles; useful for pushing away groups of enemies! Press Alt+Enter to toggle in and out of fullscreen. Alt+F4 will allow you to exit the game at any time. 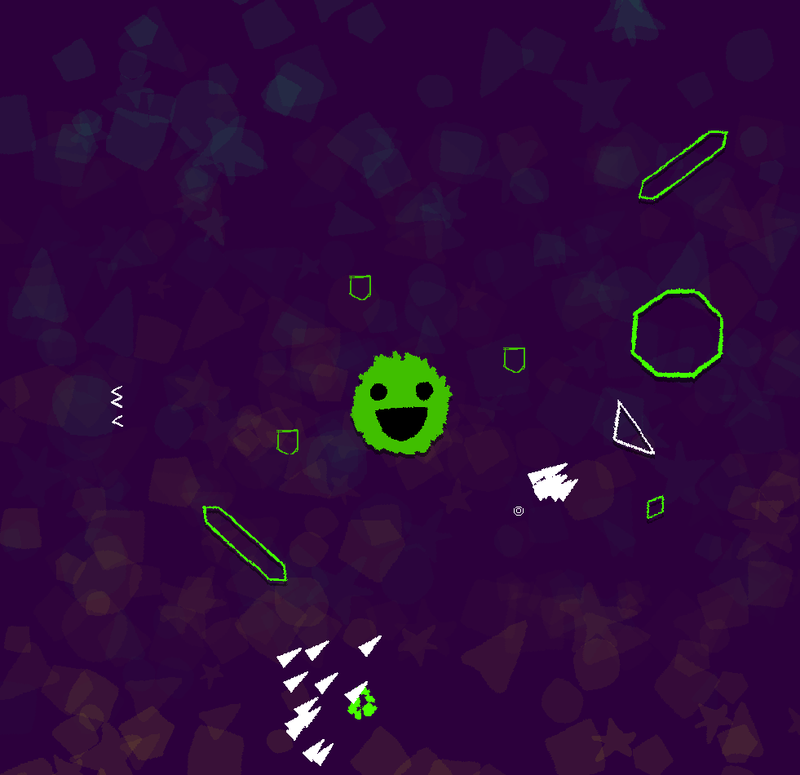 A variety of powerups will appear as the battle rages. These temporary aides will be vital in your efforts to defend the Fuzzy Friend. If the powerup type that appears doesn't seem that useful at the moment, you may let it wrap around the screen in order to change it - hopefully to something more useful! 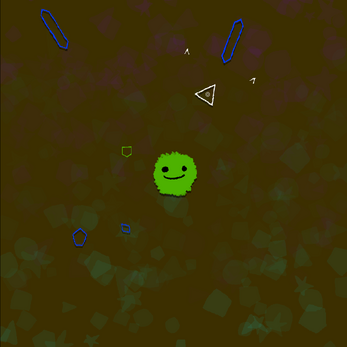 This can actually go on indefinitely, so a smart defender might bide their time and let those powerups cycle around until they are needed most! Shields - Creates a whirling barrier of 4 shields around the Fuzzy Friend that knock back baddies until they run out of health. 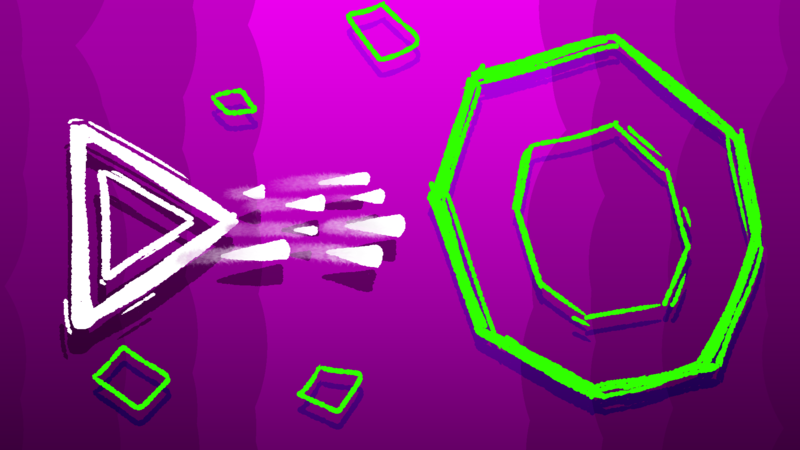 ShockWave - Sends out a massive blast from the center of the Fuzzy Friend that will damage baddies, handy if things have gotten a little out of hand! 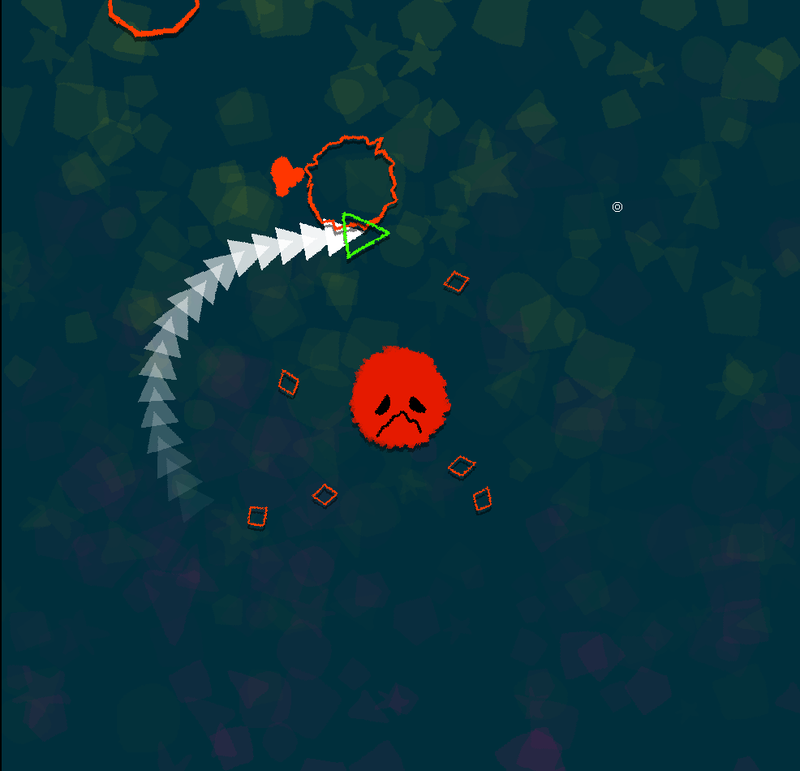 SuperCharge - Temporarily increases your movement speed dramatically and allows you to freely ram into baddies without the need to charge your primary attack. 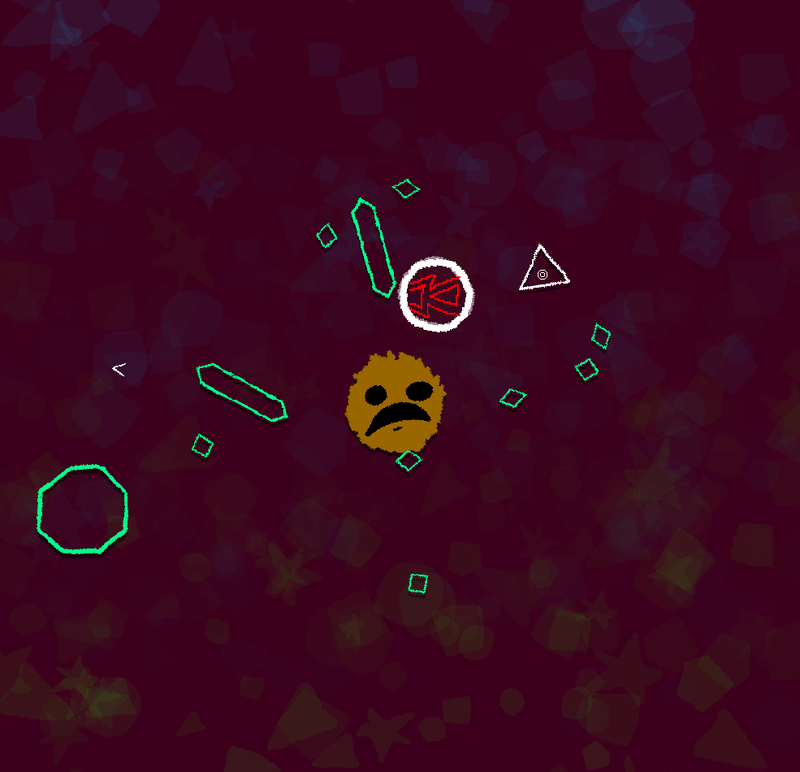 SuperShots - Increases both the rate of fire and bullet amount for your secondary attack (Right Mouse) for a short period of time. 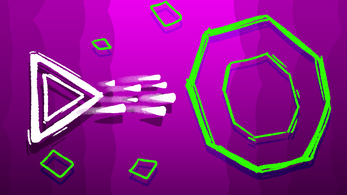 Happy Hearts - This incredibly rare powerup is a two-for-one, not only will it restore your Fuzzy Friend back to full health, but it will also send out a damaging blast similar to the ShockWave.